The clothes you wear serve a function, yes. But beyond keeping you comfortable on a day-to-day basis, the items you sport and the style you convey sends a message. Through fashion we can express things about ourselves that make us individuals. You can wear your heart on your sleeves and pay homage to the people, places and things that inspire you. And although we’re all quick to throw on the jersey of our favorite sports teams, one brand is creating fashion that speaks to something deeper — our roots and culture. MIZIZI started as an idea in the dining halls of the University of South Florida in spring of 2014. 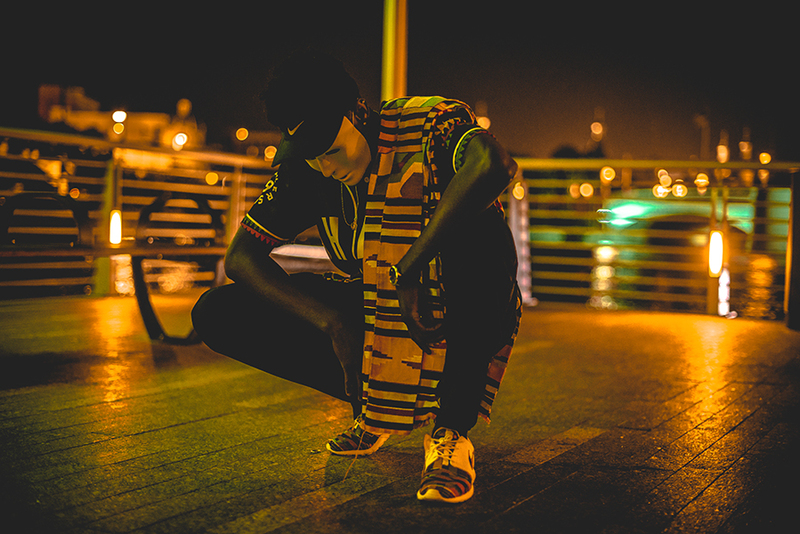 Paakow Essandoh and his friend George Kariuki (who later left the company for other business endeavors) noticed the lack of African pride displayed in Florida and decided to work to change that. They saw the lack of representation in Florida and thought about how Africans might be affected by the same thing globally. The duo would spend hours brainstorming ideas for patterns and designs that could be marketable. “We wanted to uplit that African self-esteem within everyone and give them something they can wear stylishly and take pride in,” Essandoh says. The line officially launched in the summer of 2015. But before MIZIZI, the current CEO wasn’t an experienced fashion industry expert. His background was limited to retail and food service and he was working as a pharmacy tech at CVS. Launching the company marked a sharp career shift and a shift in the way people can display their pride for where they’re from. MIZIZI literally means “roots” in Swahili. The name, though simple, represents the connections the brand aims to make every day. “Africa is the only continent whose children leave and never come back,” Essandoh says. “With the lack of representation we tend to lose touch with an entire dimension of our identity because we’re not exposed to it.” But having a connection to where you came from, even one as small as a wristband with flags on it, can serve as an important connection. He finds, through his own experiences and customers, that people get excited to represent their identity. People are proud of where they’re from. They want to represent their history. And that’s why they want clothing from MIZIZI. The pieces are for anyone and everyone from the African diaspora. And grabbing some gear from MIZIZI guarantees you’re supporting black-owned businesses and a “for us, by us” model instead of some major brands that take advantage of culture by simply appropriating it for profit. Within all of MIZIZI’s designs are little Easter Eggs of knowledge that relate back to the respective country’s culture. This makes each item a conversation piece, prompting customers to learn more about their country and share that knowledge with others. Not sure where to start when browsing the site? 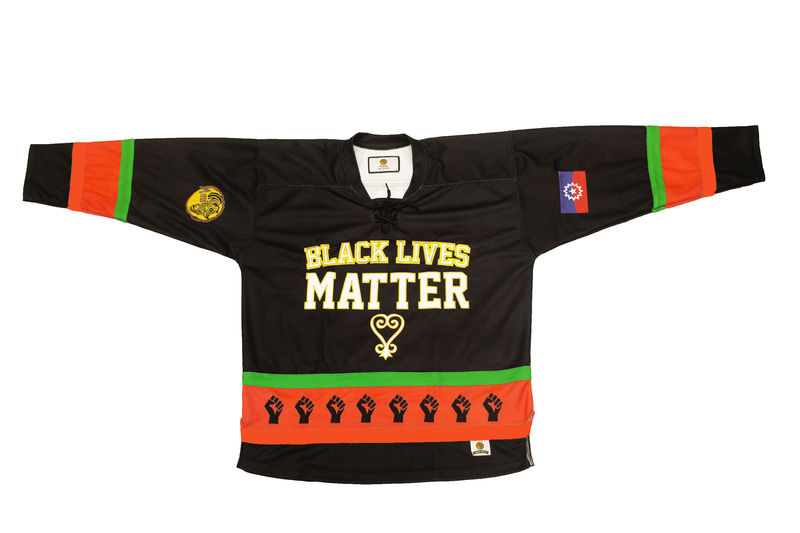 How about their dope Black Lives Matter hockey jersey? Bring a message to a cut and style perfect to transition you into fall and winter. 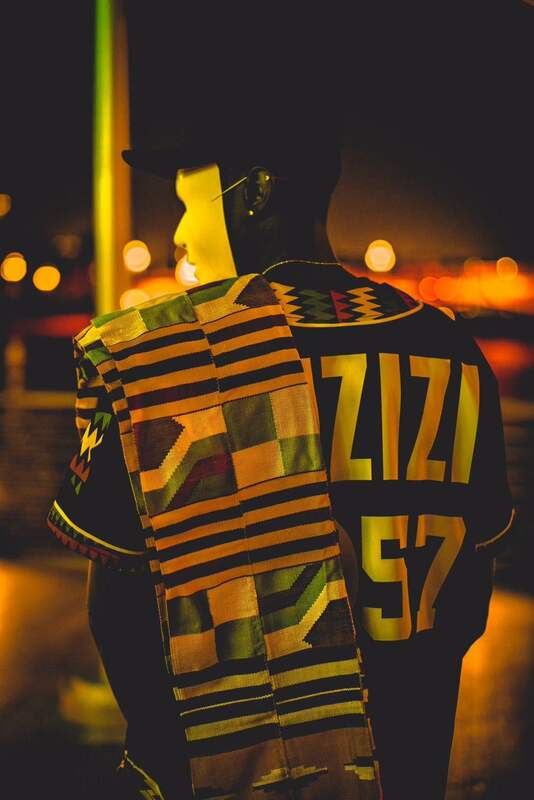 And the brand’s most recent campaign, “The MIZIZI AfriKan Games Campaign,” includes a basketball jersey for every single African country, as well as “African” and “African-American” options. The designs are full of important details and can be effortlessly styled like any other jerseys you’ve worn before — but these have a special meaning and cultural tie that sets them apart. The striking videos take place in Dallas, Texas, and shooting them demonstrated the kind of community that MIZIZI pulls together. “A lot of the local Africans came out to be a part of it and show love,” Essandoh says. “In true African style, it somehow turned out to be a small block party — we had a DJ and everything.” The commercial was directed by Ugochukwu Onwuzurike, co-directed by Obiaura Anozie, and produced with the assistance of Devy Stonez and Anthony Sarden. But this video is just one of the new ways the brand is connecting with consumers. Regarding what’s up next for MIZIZI, Essandoh says he can’t give too much away, but that they’ve got some game-changing moves up their sleeves. Check out MIZIZI and shop the AfriKan Games collection. Although temporarily on backorder, it’s still available for purchase up until August 21.